The information contained in this site is for general education purposes only and is not intended to be a substitute for medical advice. Please do not use this site to disregard any medical advice, because of something that you have read or seen. We recommend consulting a doctor on a regular basis with respect to any matter related to physical or mental health, especially concerning symptoms that may require diagnosis or medical attention. We have endeavored to ensure that the information in this site is correct, however, we cannot guarantee its accuracy. The 10-year warranty on the Reflux Guard© wedge is prorated; if the head sags more than 1”, the product is eligible for replacement. Warranty applies to complete units only: Warranty does not apply to foam alone (listed as ‘Parts’). If you purchase the cover within 2 weeks of purchasing the foam, the warranty applies. 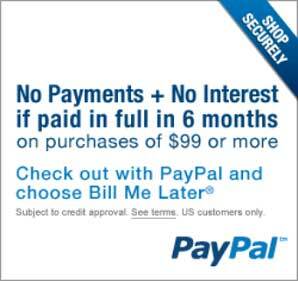 the following return policy only applies to orders purchased on 2/7/2018 and thereafter. – Any item not accompanied by a Return Merchandise Authorization Number (RMA#) issued by RefluxGuard. – Shipping and charges for shipping to Alaska, Hawaii, and international destinations. Purchaser, by placing an order, makes an offer to purchase pursuant to these terms and conditions, which offer, if accepted by RefluxGuard, is accepted within the State of New York, and purchaser consents to the jurisdiction of the courts of the State of New York for the limited purpose of dispute arising between the parties resulting from this transaction and agrees that the laws of the State of New York shall apply. By opening or using a product purchased from RefluxGuard, the purchaser agrees to be bound by the term and conditions of sale as set forth below. If you do not agree to the terms and conditions of sale, please ship the product back to RefluxGuard unopened within 5 days of receipt for a full refund (less shipping and handling charges). RefluxGuard makes no warranty, either expressed or implied, of merchantability or fitness for any particular purpose, and none shall be implied by law. RefluxGuard will not be responsible for any consequential or incidental damages resulting from the sale, non-delivery, use or improper function of any equipment purchased from us. The responsibility, if any is imposed, of RefluxGuard in regard to any item purchased shall be limited to the monetary value of the merchandise purchased. 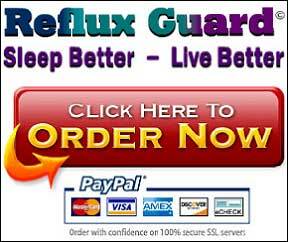 RefluxGuard.com is intended to be a guide only. Some item illustrations are for display purposes only, may not be exact, and are not necessarily included in the purchase price. RefluxGuard is not responsible for typographical or pictorial errors, and specifications may change without notice. All items offered for sale are subject to availability. Order confirmation given to you through RefluxGuard does not guarantee our acceptance of your order, nor does it constitute confirmation of an offer to sell. RefluxGuard reserves the right to decline and cancel an order, or supply less than quantity ordered at any time. At times, we may experience a shortage of certain items. At these times, we reserve the right to restrict the quantity of a particular item ordered. We will notify you if a situation like this occurs, In addition . RefluxGuard may, at its own discretion, limit quantities sold in each order or to each person or household. We do not sell to those who intend to resell products offered through RefluxGuard.com, including dealers, resellers, exporters, wholesalers, or customers. RefluxGuard reserves the right to decline or cancel an order at any time.